Often the first perceivable difference between village life and city is that of – ‘good clean air’ – we, the city dwellers may not notice that easily, until we read about smog and other pollutants. We do not have this trouble – that of ‘wildfires’. Each year, thousands of homes in woodland areas are damaged or destroyed in wildfires that burn millions of acres across the United States, according to the National Interagency Fire Center. 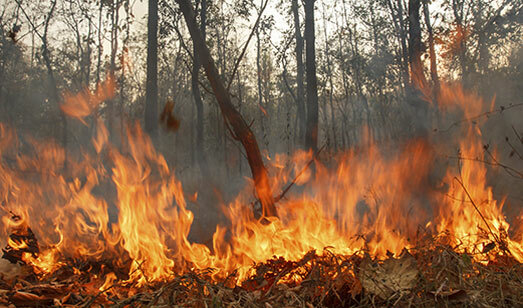 Wildfires usually ignite in hot, dry weather and, most often, during droughts. If you live in the foothills, grasslands or mountains, your home or community may be at risk. While some wildfires, such as the ones that begin with a lightning strike, cannot be prevented, 90 percent of wildfires in the U.S. are caused by humans, according to the National Park Service. Three major fires are raging in Southern California. The first, the Thomas fire in Ventura County, started Monday evening and exploded overnight. 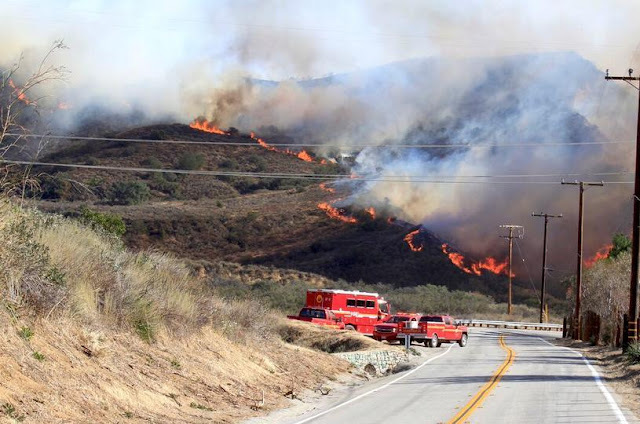 The second, the Creek fire, started at 4 a.m. Tuesday near Sylmar. 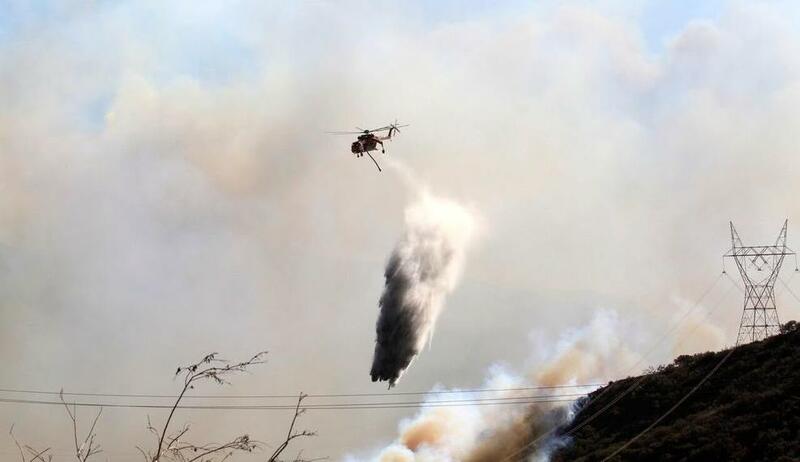 The Rye fire erupted in Santa Clarita shortly before 10 a.m. Tuesday ~ and they are normal.. .. ! Whether the home insurance covers the peril of ‘wildfire’. Typically, the answer is yes. Standard homeowners policies generally help protect against specific perils, or certain causes of loss, such as theft and fire, but coverage may vary by geographic location and by policy. In USA it is not surprising to find some insurers do not sell homeowners policies in areas where wildfires are common. Over there, Interstate 405 (I-405) is a major north–south Interstate Highway in Southern California. It is a bypass auxiliary route of Interstate 5, running along the southern and western parts of the Greater Los Angeles Area from Irvine in the south to near San Fernando in the north. The entire route is known as the northern segment of the San Diego Freeway. This is a heavy travelled thoroughfare by both commuters and by freight haulers along its entire length and is the busiest and most congested freeway in the United States. Multiple fires are raging in Southern California. A series of Santa Ana wind-driven wildfires have destroyed at least 180 structures, forced thousands to flee and smothered the region with smoke in what officials predicted would be a pitched battle for days. It spread through the hills above Ventura, in the northern greater Los Angeles megalopolis, with the speed of a hurricane. Driven by 50 mph Santa Ana winds—bone-dry katabatic air moving at freeway speeds out of the Mojave desert—the fire transformed overnight from a 5,000-acre burn in a charming chaparral-lined canyon to an inferno the size of Orlando, Florida, that only stopped spreading because it reached the Pacific. Tens of thousands of people evacuated their homes in Ventura; 150 buildings burned and thousands more along the hillside and into downtown are threatened. And it’s all horribly normal. Southern California’s transverse ranges—the mostly east-west mountains that slice up and define the greater Los Angeles region—were fire-prone long before there was a Los Angeles. They’re a broken fragment of tectonic plate, squeezed up out of the ground by the Pacific Plate on one side and the North American on the other, shaped into the San Gabriels, the Santa Monica Mountains, the San Bernardino Mountains. Even the Channel Islands off Ventura’s coast are the tippy-tops of a transverse range. A series of Santa Ana wind-driven wildfires raging across Southern California have destroyed at least 180 structures, forcing thousands to flee and filling the region with smoke. Much of the reported structural damage has been in Ventura County, where the Thomas fire has already burned 65,000 acres. The fire jumped the 101 Freeway on the evening of Dec. 5, threatening towns near the ocean. Here’s where some of the damage has occurred so far. 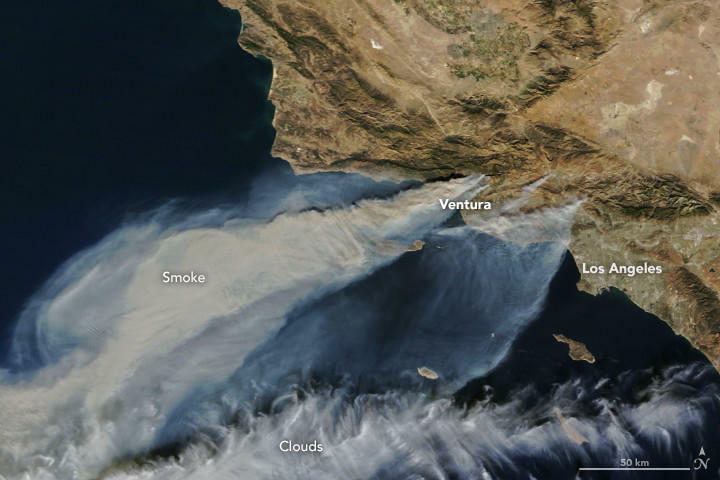 Thick blankets of smoke from wildfires burning in Southern California are visible from space. An image captured by the Moderate Resolution Imaging Spectroradiometer on NASA’s Terra satellite shows large plumes of smoke streaming into the Pacific, illustrating the fires' scope and size. 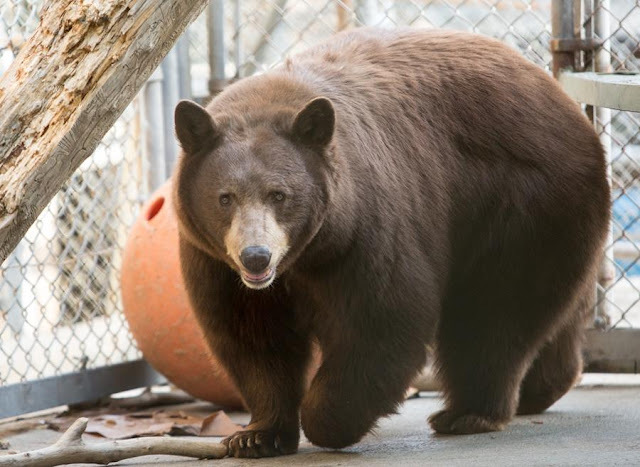 NY newspapers report that on Little Tujunga Canyon Road at the Wildlife Waystation, staff members worked on little sleep to keep the wild and exotic animal sanctuary — and its residents — safe. Wildlife Waystation, was on risk and so were the animals housed in. their staff and fire fighters started work at the dawn, they began preparing for evacuation. They separated the different types of caging, some suitable for hyenas, others for Siberian tigers, another suitable for a chimpanzee. They had to figure out what to do about the buffalo roaming loose in the fire zone, as well as what they’d do with animals with small lungs — like birds — who wouldn’t be able to survive the smoke. There was no power and they had to work in dark too, at a time when they were exposed in their work with very dangerous animals. Some of the animals were evacuated to a zoo and others to motion picture compounds — facilities capable of dealing with them. Of 350 to 400 animals usually housed at Wildlife Waystation, 100 were not evacuated. It is all about preparedness and strategic execution .. ..